Joanne, or Joe as she preferred to be known, had trained as a nurse and worked for 20 years at Huddersfield Royal Infirmary caring for others where she was a sister in Day Surgery. Joe had been with her partner Chris for10 years. Having married in 2005 they had tried unsuccessfully to have children, with Joe suffering several miscarriages. Health Visitor records detail how after one such episode Joe was referred for treatment suffering from postnatal depression (PND). Joe and Chris had hoped that fertility treatment might offer a solution but they were not eligible and when they enquired into adopting they were told that their high BMIs (i.e. being over-weight) would be a barrier. It was for Joe and Chris a miracle when in May 2009 Joe fell pregnant and was able to carry to full term. When Emily Jane Bingley came into this world on 10 February 2010, her parents were delighted as she was a much sought after baby that they had come to think they would never get. Joe was determined to do the right thing from the start and began breast feeding immediately to ensure that Emily had the best start in life she could give her…… but this soon lead to Joe’s despair and death! Joe’s Pathway to Despair …! A maternal family history of PND, depression along with a young cousin committing suicide. 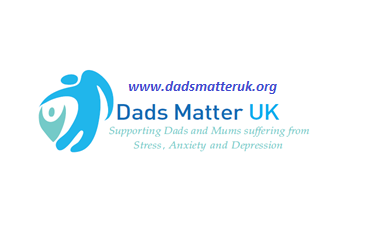 Normally 10% to 15% of mums risk suffering postnatal depression but due to her prior history and treatment for depression there was a 1 in 2 chance (50%) risk that Joe would suffer again ! NONE of the 5 mental health risk assessments described in the Kirklees Maternal Mental Health Care Pathway as the responsibility of Health Visitors were completed, with meeting checklists being completed for other matters but the questions on mental health left blank and incomplete. Joe’s physical health was the priority – her high BMI (weight), gynaecological issues, hyper thyroid, etc. Joe was admitted to Huddersfield Royal Infirmary so that the midwives could help her overcome the problems she was experiencing breast feeding. The medical records detail Joe’s inconsolable crying, anxiety, feelings of failure and state that Joe was suspected as “on the way to suffering postnatal depression“. Treatment for her lack of hind milk and crying baby was to have Joe connected to a “double breast pump” between feeds with intent to increase milk production over 10 days. Treatment concentrated solely on the problems of Joe continuing to breast feed and left her bruised, in tears and inconsolable … not until her husband Chris asked about bottle feeding was advice given ! Joanne was persuaded by her husband Chris to move to bottle feeding and for the first time in several days Joe was able to hold her baby in her arms as Emily fed and happily fell asleep. Having switched to bottle feeding baby Emily quickly settle d and started to recover her weight but Joe’s depression started over her fears that she was a bad mother and had starved her child. Very quickly this developed into a very severe form of postnatal depression that can pose a threat to the life of both mother and baby, as sufferers often feel suicidal. The Mental Health Crisis Team conducted an initial assessment resulting in a diagnosis of very severe postnatal depression. No other treatment options were considered or discussed. No written information of any kind was provided, nor any information on how to care for his wife. Care Plan provided to both the patient and the husband, marked as provided to ‘The Carer’. At no point is any referral made to specialist perinatal psychiatric services or to a consultant of any kind, in beach of NHS Service Frameworks and care quality standards. When Joe requested “please take me with you” her request was ignored and brushed aside by the care worker treating her that day. In the same meeting Joe left the session unexpectedly (withdrawing from the treatment). Despite Joe’s medical record detailing her suicidal plans, a decline in mental health and her obvious state of anxiety the care worker never explored Joe’s state of mind or the signs of the breakdown of her relationship with her husband and carers . Whilst sat in her car ready to leave, the husband knocked on the care workers window to explain Joe had left the property without telling anyone. Despite having recorded the husband’s anxiety and distress in her notes, knowing his wife was suicidal, she told him to contact the police if his wife did not return and then drove away! The Dr for the first and only time during the entire treatment records signs of improvement, and decides there is no need to discuss alternate treatment options. Joanne went into crisis and for 2 hours the Health Visitors were unable to console Joe. Health Visitor raises her concern of HV’s being unable to cope as she is told Crisis Team is planning to stop providing support, and she contacts her HV manager to log risks. Joe’s husband Chris came home from work as the Health Visitors were leaving. Left to face his wife yet again in crisis, spending several hours to provide the care and support she needed to settle and calm. No-one contacts the husband Chris (The Carer) to inquire of patient’s state or discuss risks prior to the Bank Holiday weekend. Note: According to “The Confidential Enquiries into Suicide” the most significant risk factor or sign 24 hours prior to someone committing suicide is their “withdrawing from treatment” and cutting contact with care services. On Friday 30 April 2010, when her daughter Emily was just 10 weeks old, Joe sneaked out from the family home early in the morning walked to a nearby train line and lay down in front of a train. On first day back at 9:05am the Crisis Team Manager contacts the Health Visitors, the medical records detail the purpose was to explain that at no time did Joanne show suicidal intent else they (The Crisis Team) would have taken action. Following Joe’s death nobody from the Mental Health Crisis Team that had been treating her contacted her husband Chris to check what help and support her needed. Whilst expecting the grieving dad to cope with support from his family, the Crisis Team Manager went on to discuss members of her own team and members and Health Visitors staff being offered immediate counselling and support! Thankfully the Health Visitors ignored that advice from the Crisis Team Manager and left a hand-written letter offering their condolences and telling Chris to contact them any time he needed their help or support... “Evidence of a Caring Profession”. According to care standards Joe should have been referred to a specialist in perinatal psychiatry but those treating Joe were not specialists and they had no training or qualifications in this specialist area of acute care. After Joe’s death her husband Chris pushed for an in-depth investigation into how her condition was managed by local health services. There was an Independent Investigation undertaken by leading UK experts (including Professor Margaret Oates, OBE). From the medical evidence available Joe should have been hospitalised at least 3 days prior to her death. If this had been done she would have received the treatment necessary which would have resulted in her making a full recovery. The Independent Investigation into Joe’s death, performed by eminent experts, found clinical evidence Joe should have been admitted to hospital at least 3 days before she died and if she had would have been expected to make a full recovery. The Coroner stated that “complex issues” exist as to the cause of death and on the evidence presented he was unable to determine to the criminal standards of proof, “beyond reasonable doubt”, whether those “complex issues” were the cause of her “unlawful death”. Whilst the Coroner ruled on a verdict of “suicide” he refused to close the pursuit of action through other courts on causation of death stating that others may be able to take a different view of the ”complex issues”. On the 18th December 2013, nearly 4 years after Joe’s death, the NHS entered a statement into court admitting to a breach in their duty of care that in all probability was the cause of death. On behalf of the NHS the Director of Nursing admitted to a breach in their duty of care and that on the balance of probability Joanne’s death was caused by the NHS failure to follow the appropriate care standards. Accepting as fact that if offered Joane would have agreed to hopsital treatment and that if she had been admitted for treatment to a specialist unit she would have been expected to make a full recovery from her severe postnatal depression. The devastating loss of life from mums who commit suicide when 86% are “avoidable deaths” according to the Confidential Enquiries into Maternal Death. Many NHS trusts have failed to implement the Care Standards in perinatal mental health, and failed to implement the “lessons learned” from Independent Investigations and Confidential Enquiries in Brach of the NHS Constitution. Other mums, dads and families continue to suffer unnecessarily and other mums die “avoidable deaths” due to the failure of the NHS to provide specialist services compliant to care standards. After he had received conflicting reports from directors and staff of the Mental Health Trust responsible for his wife’s treatment, Chris requested the Care Quality Commission (CQC) investigate their failure to implement recommendations from the Independent Investigation into Joe’s death. Two years after the death of Joanne Bingley, the CQC report concluded that this specific user group (sufferers of severe postnatal depression) were still at risk from the service not meeting care standards. But hers is just one of 3 deaths in the last 4 years of mums referred for treatment to the South West Yorkshire Partnership Foundation Trust (SWYPFT). Since the report was issued by the CQC in April 2012 detailing “this specific user group at risk”, there has been two further deaths of mums suffering from severe postnatal depression/psychosis whilst receiving treatment at home by South West Yorkshire Partnership Foundation Trust. According to the Confidential Enquiry into Maternal Deaths 86% of mums who die whilst suffering postnatal depression are identifiable, treatable and avoidable. Details of other “Avoidable Deaths” ? The dad of a distressed new mum who tragically fell to her death six days after giving birth is to take legal action against the hospital where she received care. Neil Hinchliffe, 62, said that Calderdale Royal Hospital staff ‘failed’ his daughter Roseanne, who used to live in Shelley, by discharging her only hours after she was admitted to A&E despite a district nurse’s concern that she was suffering from psychosis. Less than one day later on November 3 ‘Rosy’, as she was known to her family and friends, fell 80ft from cliffs close to Whitby Abbey after calling a taxi in the early hours from her home in Boothtown, Halifax. The news comes after a coroner decided against a verdict of suicide and recorded an open verdict at the inquest into her death at Scarborough Coroner’s Court on Thursday (24 April). A mother of twins who had longed to have children committed suicide because she thought she was an inadequate parent. 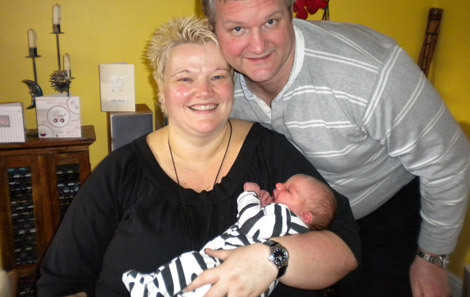 Claire Turpin, 42, had struggled to conceive, eventually succeeding after lengthy fertility treatment. But she went on to become acutely depressed even though she was caring well for newborns Jack and Eliza. Three months after their birth, the married former hotel manager jumped from the top of a John Lewis multi-storey car park. An inquest heard Mrs Turpin had been referred to a mental health team and became ‘paranoid’ about social services wanting to take her babies away. Her mother Kath Sugden criticised the medical support she was given, telling the hearing: ‘All that happened was that Claire went to the doctor and came home with another batch of tablets. Across much of the country the NHS has either failed to commission the specialist perinatal services or the services fail to comply with care standards. If the NHS was an airline then this continued “avoidable loss of life” would not be acceptable. So why are NHS Director’s not held accountable for these “avoidable deaths”? When will someone act to address these failures and the horrendous impact on families? In summer 2014, the Conception to Age 2: first 1001 days APPG session launched its evidence gathering into a number of key topics that affect optimal child development. It has held evidence sessions that has brought science and policy together, building upon the work of the Conception to Age 2 – the age of opportunity report and 1001 the Critical Days Manifesto. By bringing together scientific experts, front-line practitioners and experts by experience, a panel of politicians and advisers set out to underpin a moral, scientific and economic case for optimal child development from conception onwards. As part of the perinatal inquiry, a lecture was hosted series in collaboration with internationally and nationally recognised key note speakers, as well as invited organisations to submit written submissions on the themes of the antenatal period, child abuse and maltreatment, maternal mental health, and infant mental health. When children thrive in their relationships they grow into healthy adults and good citizens contributing to the vitality of a healthy society. It is paramount that we understand their social, cognitive, emotional, and educational development. The inquiry report to be published in February 2015, will provide an independent review and detailed investigation to understand and highlight the issues and policy areas that need to change and recommendations to be implemented. The hope and desire is to end the many “avoidable deaths” which should be considered “never events” and prevent the “avoidable suffering” of families that has tragic consequences across the generations. Some factors make some people more at risk of developing postnatal depression, what are these? A checklist of symptoms which outline the main symptoms of postnatal depression. We would like you to join us in our work, there are lots of ways to support us! Baby’s arrived and it’s not going well? You’re not alone – where to find help and support.